Hoping to continue ravaging folks in Halo 4? Well get ready to dive back in as Microsoft and 343 Studios are releasing the Champions Bundle tomorrow. The Champions Bundle will include the Steel Skin Pack, Bullseye Pack, and Infinity Armor Pack. All together, that means you’re going to get 2 news maps and some new features. As I’m sure many know, Halo 4 was an absolute hit so it’s going to be interesting to watch users flock back to the addictive multiplayer the game features. 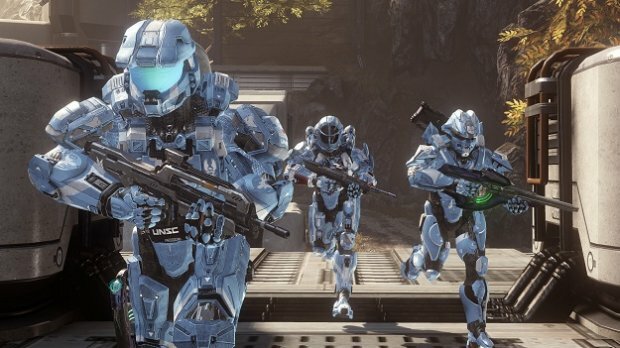 To celebrate the Champions Bundle release, 343 applied an update to Halo 4 introducing “two new support upgrades for all Spartans looking for that extra combat edge.” You can purchase the Champions Bundle tomorrow for 800 MS Points and, obviously, Halo 4 for $59.99.